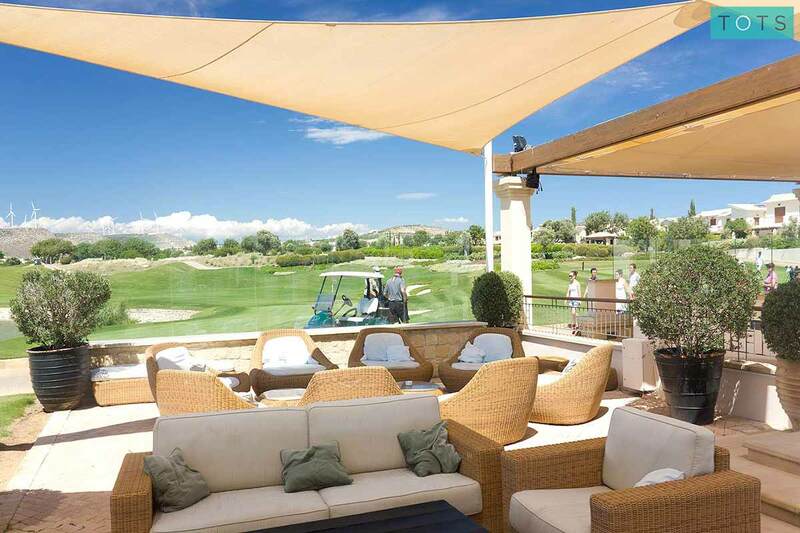 Named after the goddess herself, a trip to Aphrodite Hills Resort is nothing short of heavenly. Sectioned into a series of small villages, the resort has something to offer any size of family group. Add to that the excellent facilities including a huge playground, kids’ club, pools, restaurants, nearby beach and more, and you’ve got the perfect family holiday destination. Aphrodite Hills did everything to make our trip wonderful! The kids loved it and so did we! From the activities to just relaxing around the pool it was perfect for our family. The places to eat were delish and wonderful for take away. Everything you could want is onsite. The kids' club is wonderful and had the kids asking to go back. We used babysitting service and they were wonderful as well! Great family holiday! We had a fantastic holiday, our Premium Serviced Apartment was outstanding it was perfect, the pool was amazing. The apartment got cleaned daily they were great and also a food package when we arrived, everyone down to the lifeguard was friendly and always helpful. The food at the Village Square was fantastic and also the breakfast at the Golf Clubhouse. The entertainment we saw in the village was really good too. We cannot wait to return it was heaven. An absolute gem of a resort. Excellent service and mind blowing views. Reliable childcare / kids club service. Very family friendly and you'll definitely leave feeling relaxed and rejuvenated. I highly recommend this place. Having travelled several times with my children, twin boys 3 years of age, who also had a lovely time at the resort. Holiday season activities very well planned. Fantastic villa located centrally in the resort offering great amenities and a true home from home feel. The resort has a really good variety of activities for children and adults to enjoy. Overall, it was an ideal family holiday with the perfect mix of activities and relaxation. The facilities on site were outstanding and I would highly recommend this resort. Amazing family holiday. We had a lovely stay at this resort. The girls (6 and 4) loves the pools and kids' club and we loved the spa and restaurants. Lovely property with everything we needed. I would highly recommend Iris Apartment - perfect location for our 2 & 5 year old. Great set up for days with young kids- excellent pool areas. A few restaurants on site but fairly expensive- would definitely benefit from a few more. Apartment lovely, well equipped, resort clean and safe, friendly and relaxing. 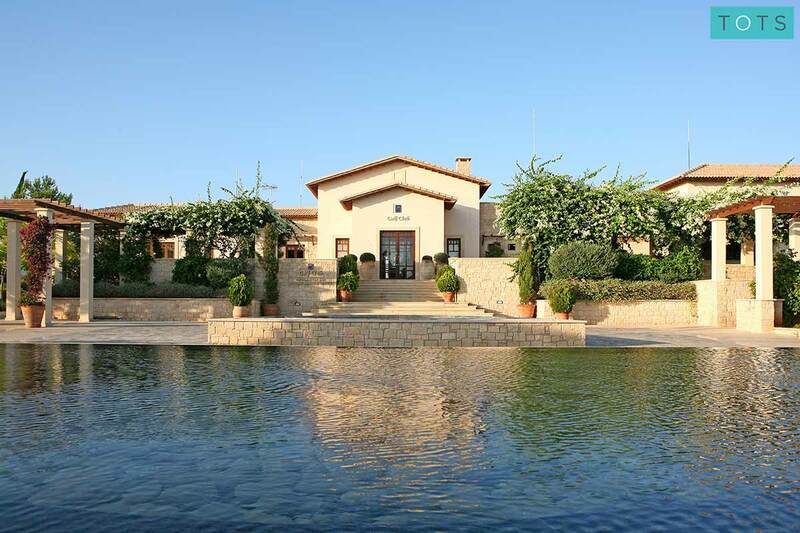 We had another perfect family holiday at Aphrodite Hills and we won't hesitate to book again. Have just returned from a 10 night stay at Aphrodite Hills, this was our second time here the first being Summer 2012, we requested the same apartment in Theseus village and as requested this was ready for us upon our arrival together with a much appreciated complimentary bottle of wine and snacks. Accommodation was first rate, spotless, and lovely views from balcony, the main pool just a stroll across the very quite access road. All in all great location to relax with the family and to use as a base for exploring the local area together with days beside the pool and short strolls to the resort village center . We hired a car so were able to eat on resort as well as at several restaurants at the nearest village Kouklia under 10mins drive just lovely to sample the real Cyprus. The standard of cuisine was excellent, the staff at all the restaurants and outlets we visited were pleasant and courteous, (Kebab House, Zimmi, Pithori Tavern, Sports Bar, Chinese, Ice-cream Shop) we were pleased to see many of the same faces serving as last year which is always a good indication of a low staff turnover. 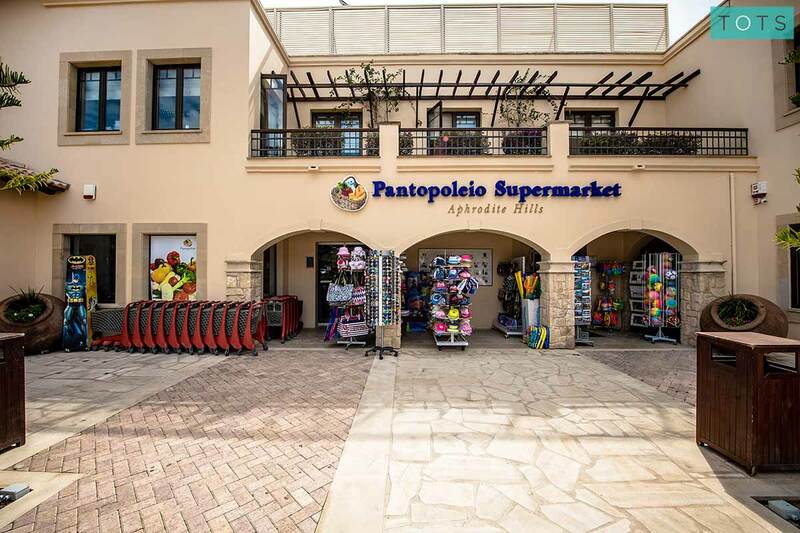 The supermarket is well stocked but pricey, we made a trip to the Supermarket at Pissori but found that the Carefourr in Paphos to be the cheapest by far, ideal for one trip to stock up. We had no problem with getting sun beds by the pool as was the same last year and it was spotlessly clean and well maintained grass and garden areas. The apartment was thoroughly cleaned and bedding and towels changed mid stay. Thank you to the management and staff at the residences. We had a fantastic holiday at Villa Leto. It offered everything we wanted - particularly the large, well heated pool and the grassy garden offering a mix of sun and shade. The amenities at Aphrodite Hills were great, our 3 year old especially loved the adventure playground and the ice cream shop! We had a fantastic family holiday here. The kids’ club and staff were amazing and our four year old daughter loved it. The resort is immaculate and the grounds are beautifully kept. The resort was fantastic, well organised and friendly staff. A very clean and tidy resort with excellent facilities, will definitely go back and recommended to others, a thoroughly enjoyable break. The resort was quiet and not all the restaurants were open but it was perfect. The coffee shop and pub/bar that was open were great and service was amazing. The large outdoor playground was fantastic and the football pitch was always open. The kids club was open every day and the ladies there were lovely. A wonderful experience. We had a weeks family holiday at this resort at Easter 2017 and we had a villa on the resort which was amazing with its own pool and the villa was stunning very clean and had everything we needed as in a washing machine, air conditioning fridge freezer etc as we have at home. The shops and restaurants are lovely with authentic Greek food and also Italian food as well as burgers etc. A large play area and kids club on site all staff are polite and friendly. The resort is immaculate and well looked after. My son in law also went to play golf on their unique course he said it is one of the best courses he has played on. We are booking to go back as it was so nice. This was my 2nd visit to Aphrodite Hills, my first being in July with another 6 members of our family. We enjoyed it so much that my husband decided to book a last minute week in the resort this time just the two of us & our 18 month old. My husband played golf 3 times, he hired shoes & clubs & loved every minute. Again bit pricey but he seemed to think it was worth every penny. This is a 5 Star resort & I think you'd struggle to find anywhere classier in Cyprus...Can't wait to go back. Excellent - couldn't ask for more. Lovely villa holiday on the peaceful resort of Aphrodite. Everything went very smoothly with our booking. The resort itself is very well maintained and all amenities are of a high standard. Lovely and helpful staff. 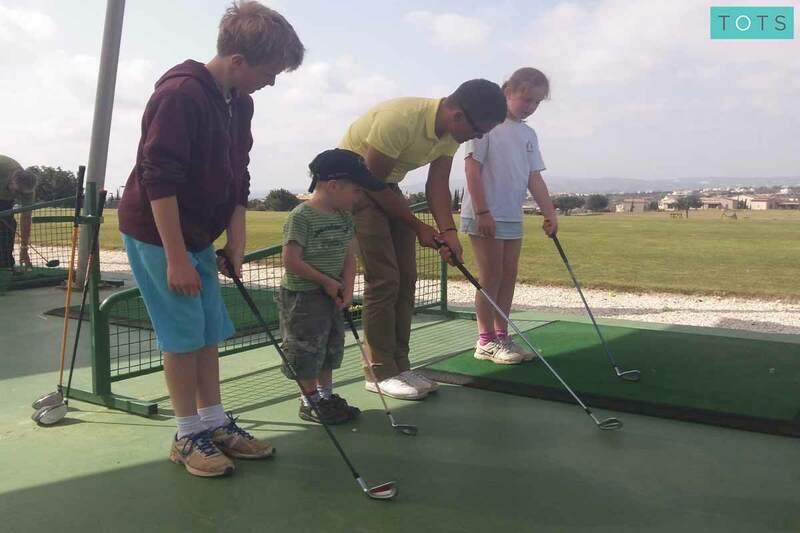 Fantastic kids club, great activities, superb staff and perfect carer to child ratio. Every time we asked the children what they wanted to do they suggested the kids club and based on their smiling face we cannot fault it. Absolutely fabulous first family holiday with Tots to Travel. Everything we'd need was at the property which made the whole experience stress free and really enjoyable. The Tots to Travel team were also very prompt with responding to queries. We will definitely be using Tots to Travel again! 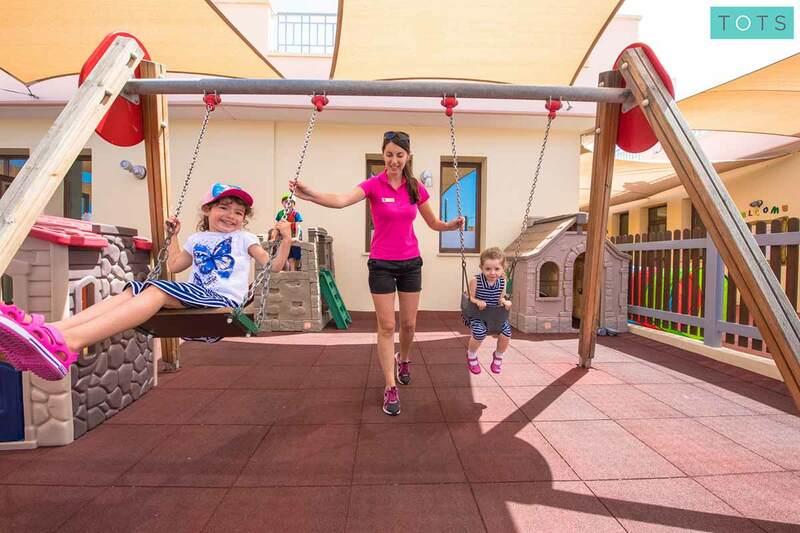 A resort that warmly welcomes children, tots of any age will find something to entertain them at Aphrodite Hills Resort. Head to the Village Square to let your little ones explore the huge outdoor play area, pay a visit to the remarkable kids’ club and crèche or let your tots enjoy the family evening activities that run during the peak season. You’ll find a large outdoor play area in the Village Square, ideal for extra playtime or to entertain tots when you’re not using the kids’ club. 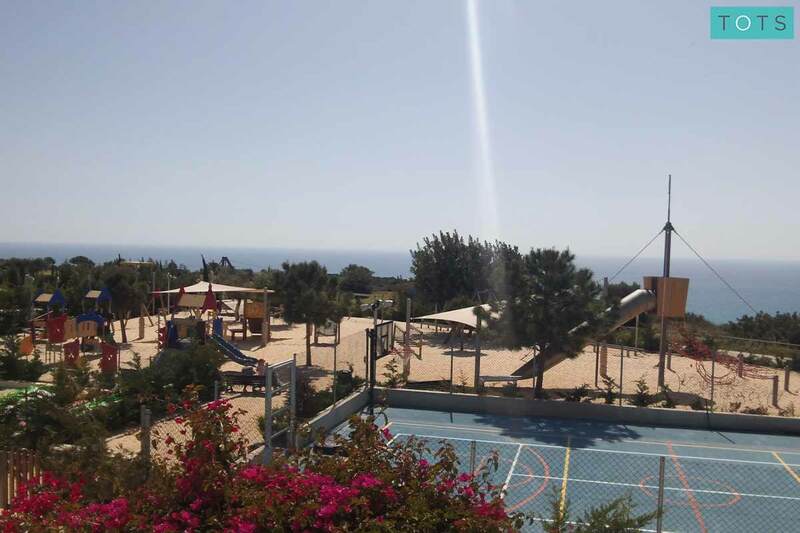 Suitable for ages three to twelve years, the resort’s excellent kids’ club has loads of facilities including a shaded outdoor play area, sandpit, lots of activities, children’s parties, toys and more. 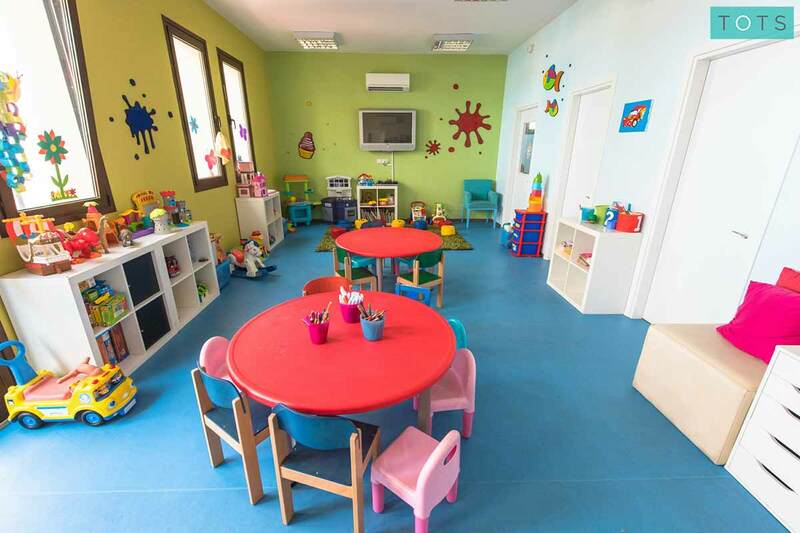 Suitable for little tots aged six to 42 months, the crèche is full of age appropriate toys and activities, including many designed to benefit their education and development. 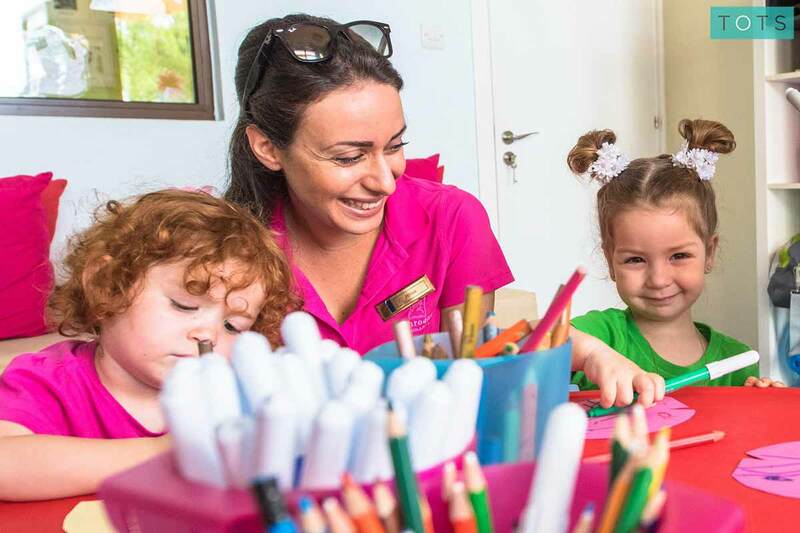 The kids’ club also offers a babysitting service, with fully qualified babysitters available to care for your tot in your villa, apartment or even in the playground. 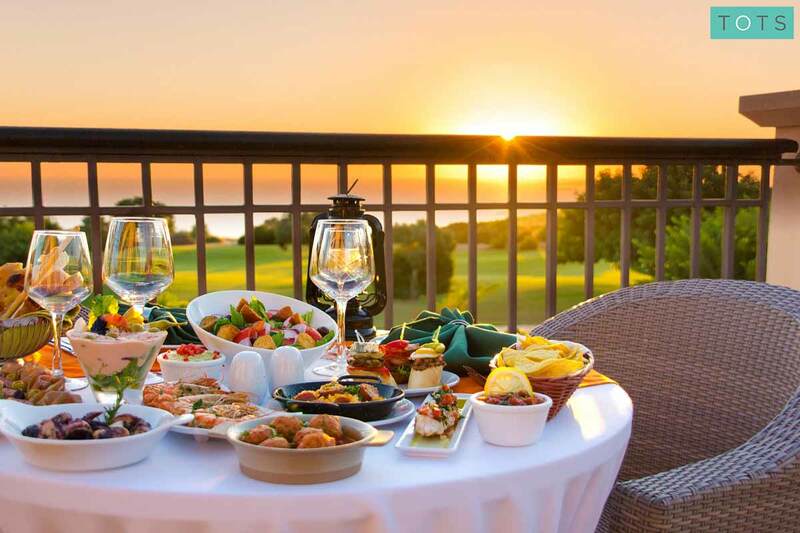 Aphrodite Hills Resort has an extensive selection of restaurants and eateries to choose from, all of which gladly welcome little guests too. The restaurants and bars are based in the Village Square, making it easy to enjoy a delicious dinner and refreshing glass of wine whilst your little ones romp around the nearby outdoor play area. Sure to be popular with the family, this authentic Italian restaurant serves classics such as pizzas and pasta, made with lovely fresh ingredients. Child portions are available. For a typical gourmet pub experience (think burgers and potato skins) look no further. There’s a variety of wonderful wines and beers on offer, plus child-sized portions available for the kids. 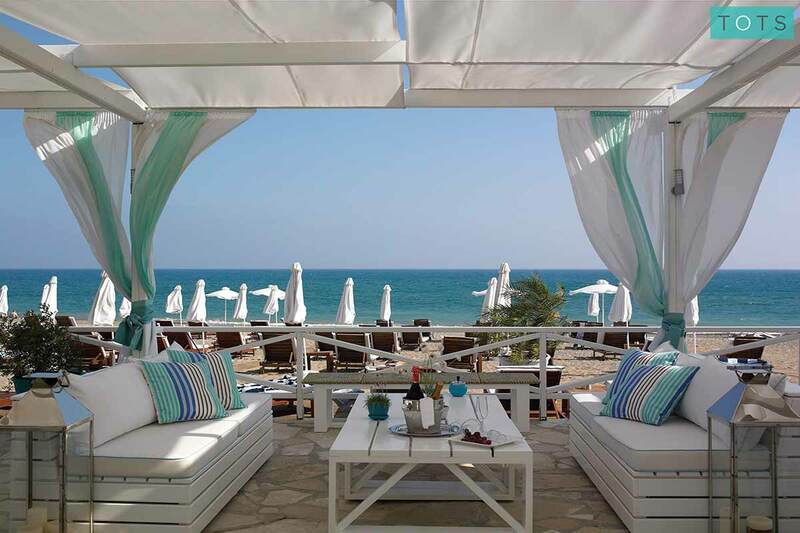 Enjoy traditional Greek Cypriot dishes at this fantastic restaurant. 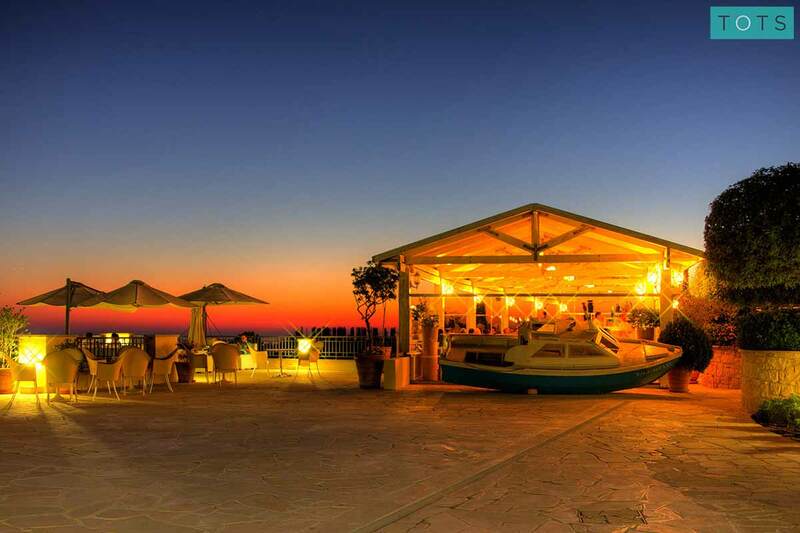 Don’t miss the wonderful themed evenings such as the ‘Cyprus Meze Night’ which has live music. Child portions are available. Take a break from the green and head to the clubhouse restaurant to enjoy a range of delicious dishes and fine wines. Child portions are available if your tots are joining you. Sure to be hit with the family, visit the incomparable Haagen Dazs ice cream parlour for scrumptious icy sweet treats, perfect for cooling down in the sunshine. This traditional Cypriot Kebab House is ultra-family friendly and serves traditional Greek favourites such as souvlaki. It’s the ideal spot for a quick bite to eat on the go. Serving authentic Indian cuisine, the food at Gate to India is delicious. It might be one to visit when the babysitter is around however, as children must be 7+ years old to dine here. Pick up all your family holiday essentials in the Village Square supermarket or grab a convenient cup of coffee and a snack at Costa Coffee. With a huge range of sports and activities on-hand, suitable for all the family, you’ll have so many options to choose from you won’t even need to leave the resort - unless you’d like to explore further afield of course. A regular shuttle bus provides easy access to the resort’s own Beach Club. Here you’ll find a gradually sloping sand and pebble beach, shallow waters and even a playground. Exploring Aphrodite Hills by bike is a wonderful activity, with lots to see and discover - you can hire mountain bikes, junior bikes for all ages, child trailers, child seats and even take part in guided cycle tours. 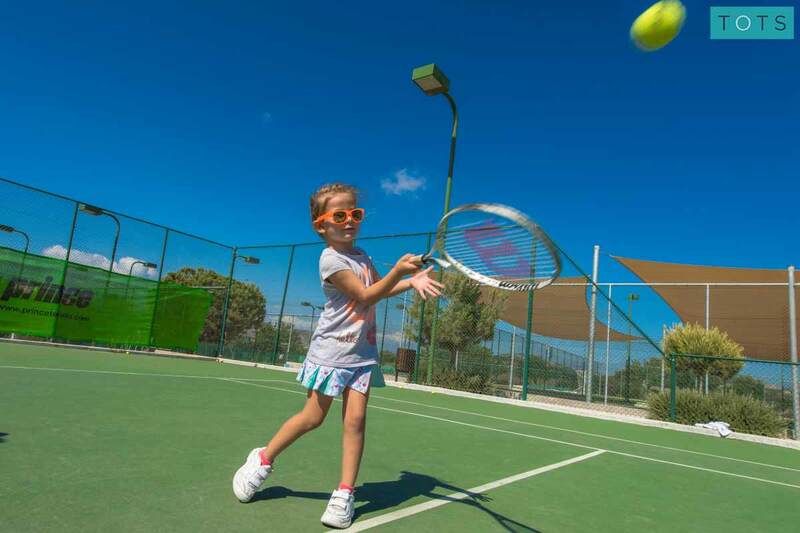 The huge resort tennis academy has eight floodlit courts, highly experienced professional instructors, family court hire, and tennis lessons available for both adults and children. Pony lovers will be in their element at Aphrodite Hills, with its range of riding experiences, private lessons and a Pony Club suitable for young children. The resort has a special ‘Dream Team Soccer School’ providing football lessons and games for toddlers, juniors, teens and adults. The resort’s 18-hole championship golf course is sure to appeal to any keen golfers. The award-winning Retreat Spa offers a huge range of luxurious treatments and spa facilities to enjoy, even for little ones. There’s also an on-site fitness centre with a gym, personal trainers and fitness classes. Up to 15% off your stay plus €100 of resort credit for stays in May and June! 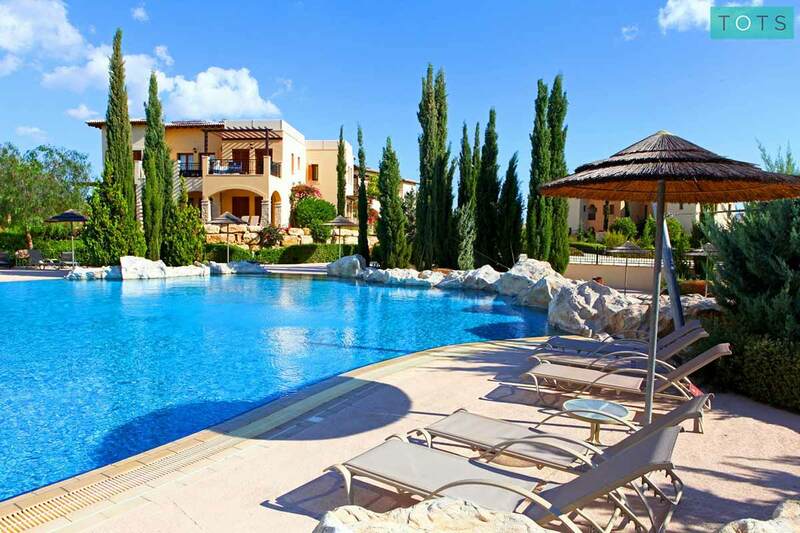 Hand-picked by us for their family-friendly qualities and fully equipped with our Essential Kit, the vast selection of villas and apartments at Aphrodite Hills Resort are suitably sized for all manner of family groups. Each set in lovely village-like areas of the resort, you can benefit from all sorts of family extras such as private pools, exclusive family perks, in-villa service add-ons and more, depending what you’d like to get out of your holiday. 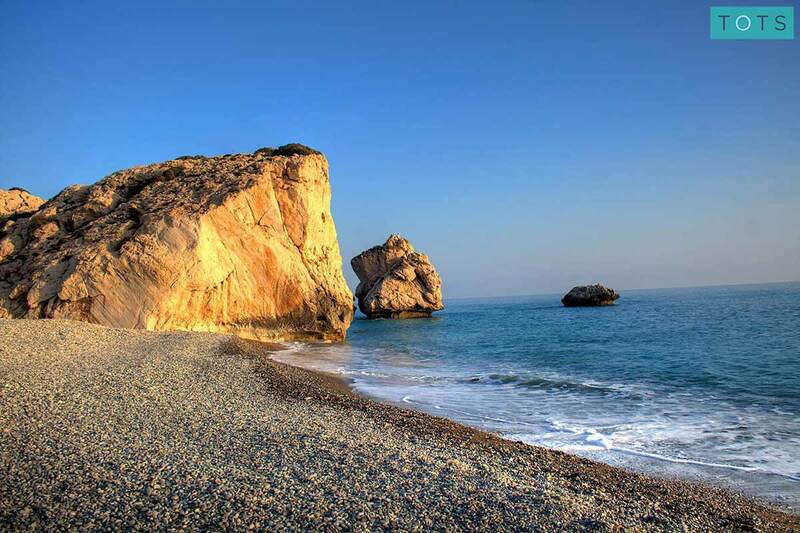 If you have time to tear yourself away from the fabulous activities at Aphrodite Hills Resort, it’s just a 15 minute drive to Paphos, which has a gorgeous harbour and lovely shopping areas to explore. Also worth a visit is the Aphrodite Waterpark, which is sure to entertain the whole family.